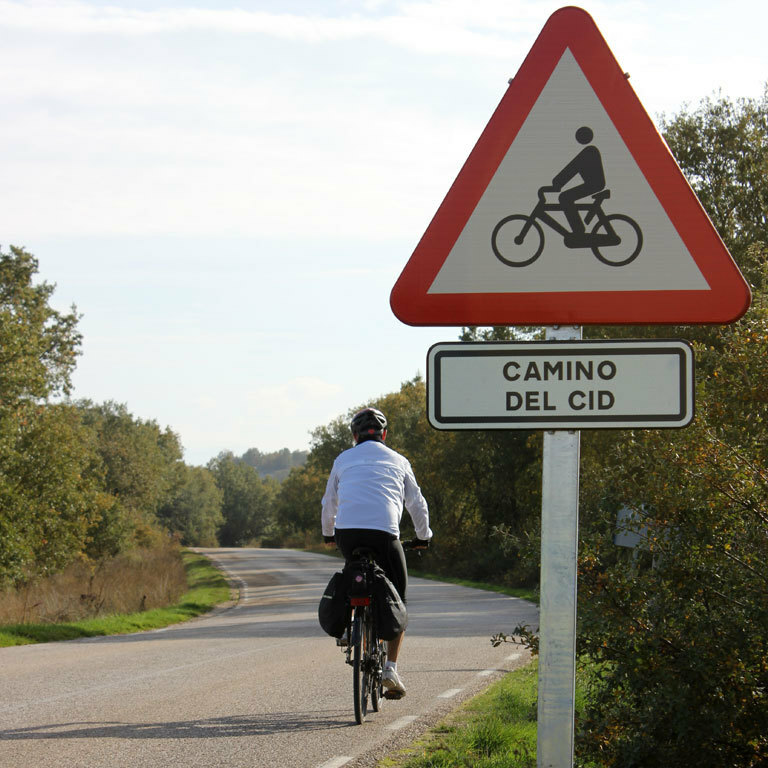 The road cycling routes on the Way of El Cid (touring, trekking, hybrid and road bikes) cover a length of 2041 km. There are 10 routes of between 66 and 362 km long. 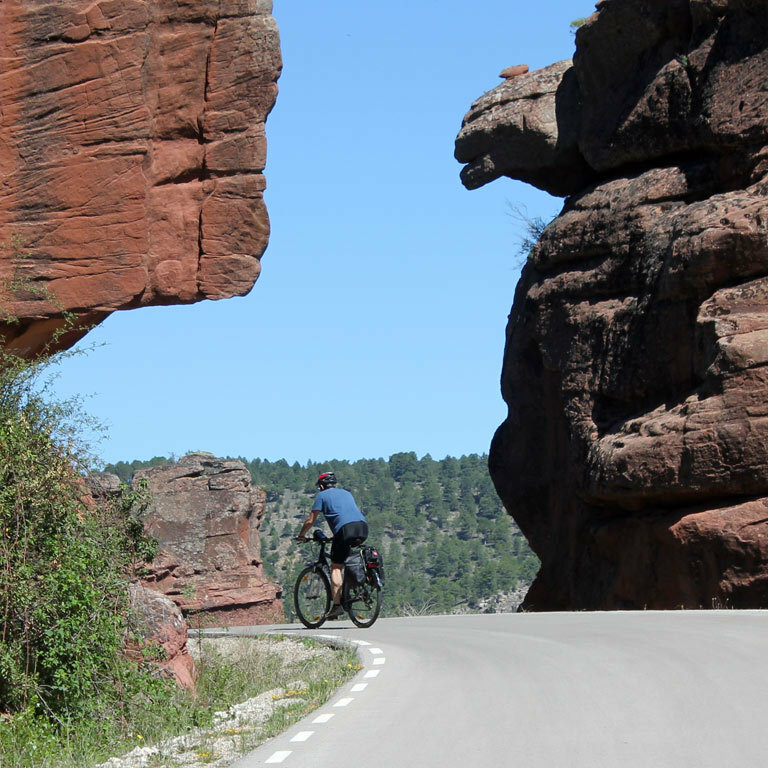 The roads are mainly quiet minor roads with little or hardly any traffic along which pedaling a bike is a sporting pleasure for the senses. However, there are also some sections along regional and national roads and connections to dual carriageways: in general, but not always, these roads have a generous hard shoulder. 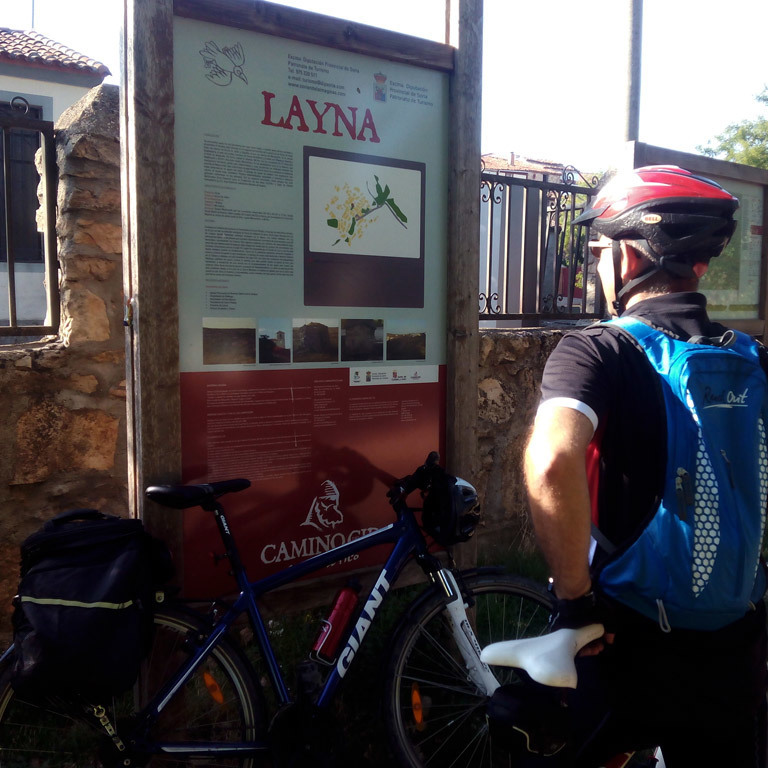 Our cycling tourist guides are available for free download and inform you about each road on your route: its name, the quality of the surface, traffic density and hard shoulder. 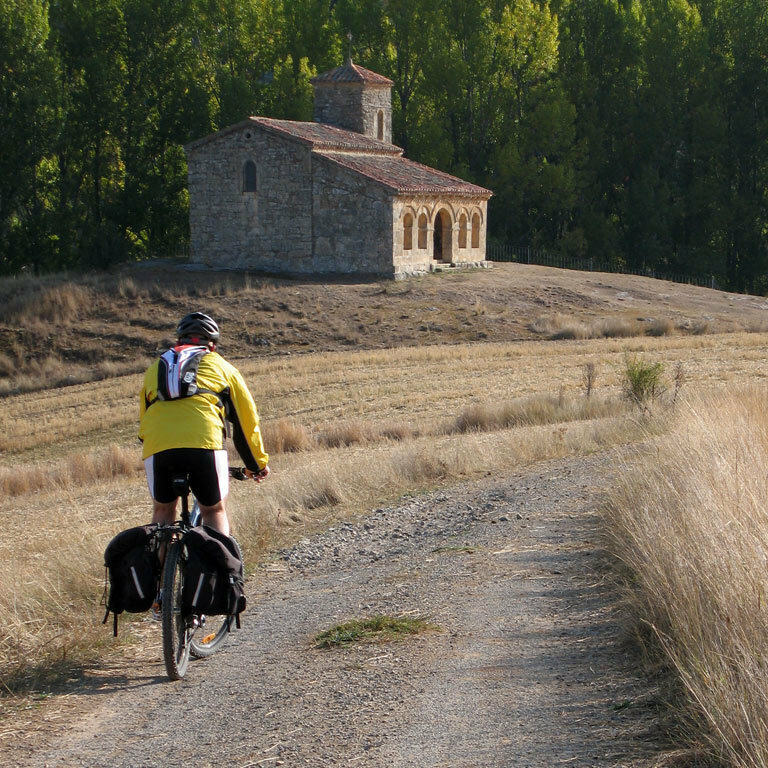 In comparison with mountain bikes, touring and gravel bikes are faster, especially on flats and downhill sections. They are more comfortable than racing bikes when the road surface is in bad condition or wet, but they also let tourists change over to the mountain bike routes (MTB): many sections are very easy and comfortable for trekking bikes, which will let you ride through incredible countryside and avoid the roads you don't want to travel on. Owing to their attractiveness for pedaling or their countryside, historical or artistic heritage, some roads have earned the title of ‘Singular Road' after an assessment by experts and travelers. Find them on each route. Don't miss them! 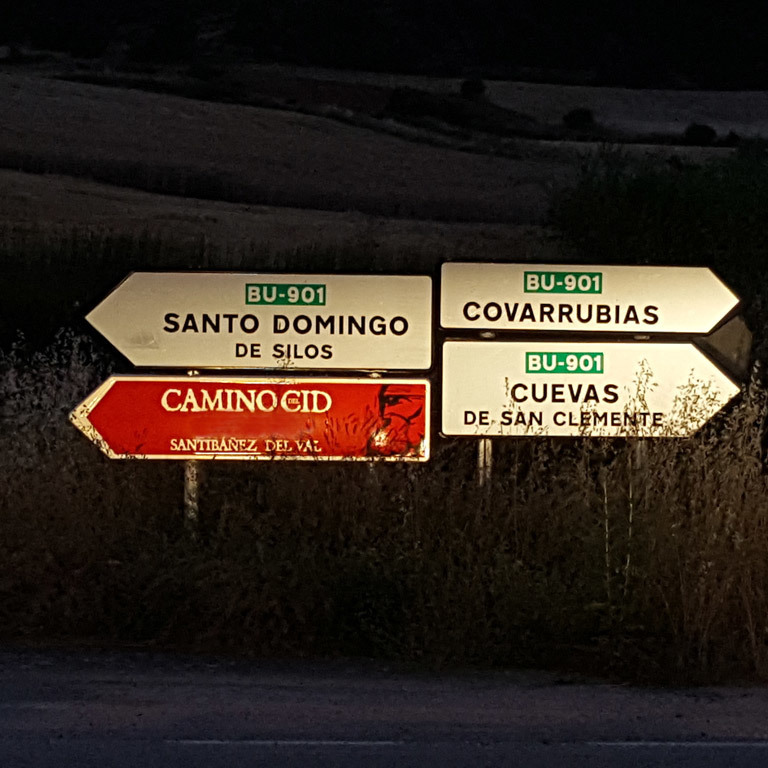 The routes are signposted at strategic crossings and other points of interest. More info about signposting, please click here. 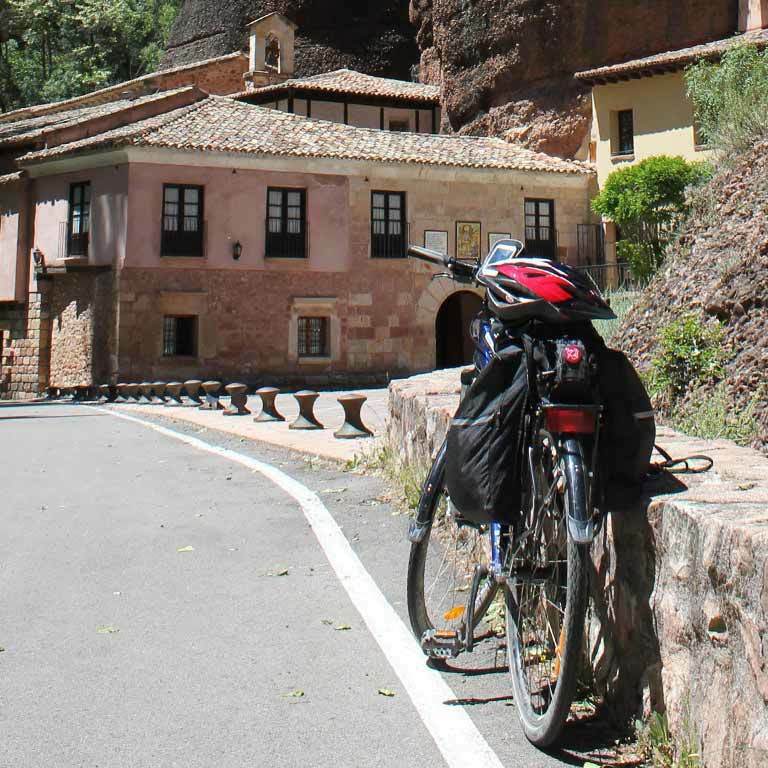 The routes are suitable for all cyclists who are familiar with long distances. 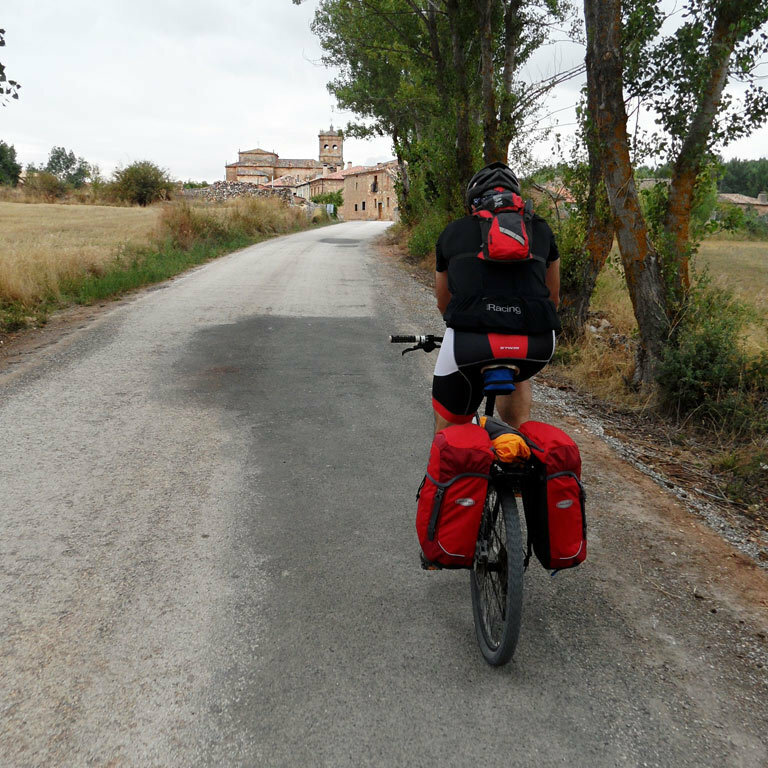 Even so, there are some sections which, owing to the type of road and the ups and downs, may require cyclists to pedal harder. These mountains sections are usually short. The datasheet of each route contains specific information and are linked to the free download of the guides, maps, tracks, stamping points and accommodation, etc. 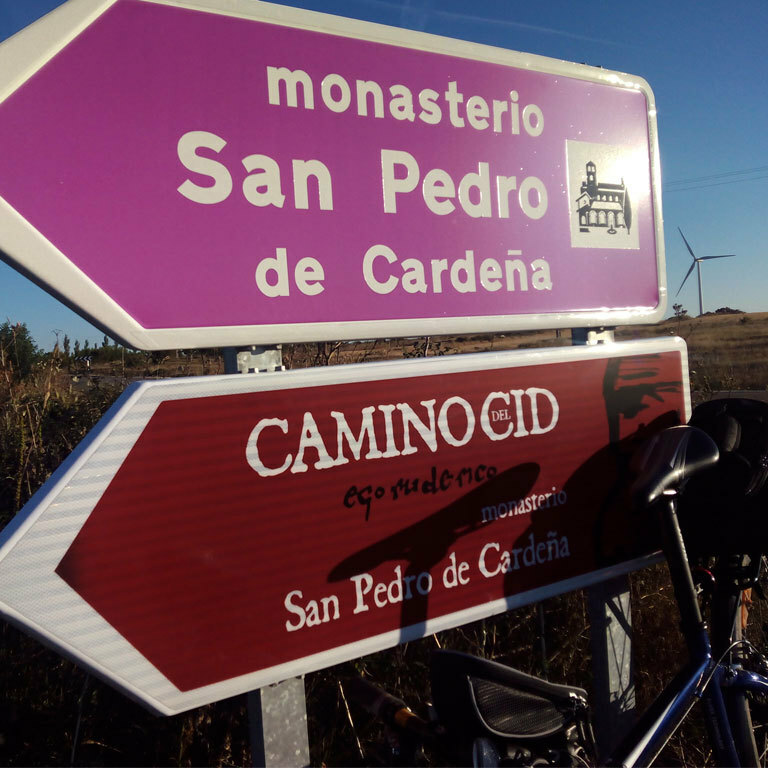 The cycling tourist routes on the Way of El Cid let you travel along roads with little traffic through very quiet and safe rural environments. A different way of seeing Spain! 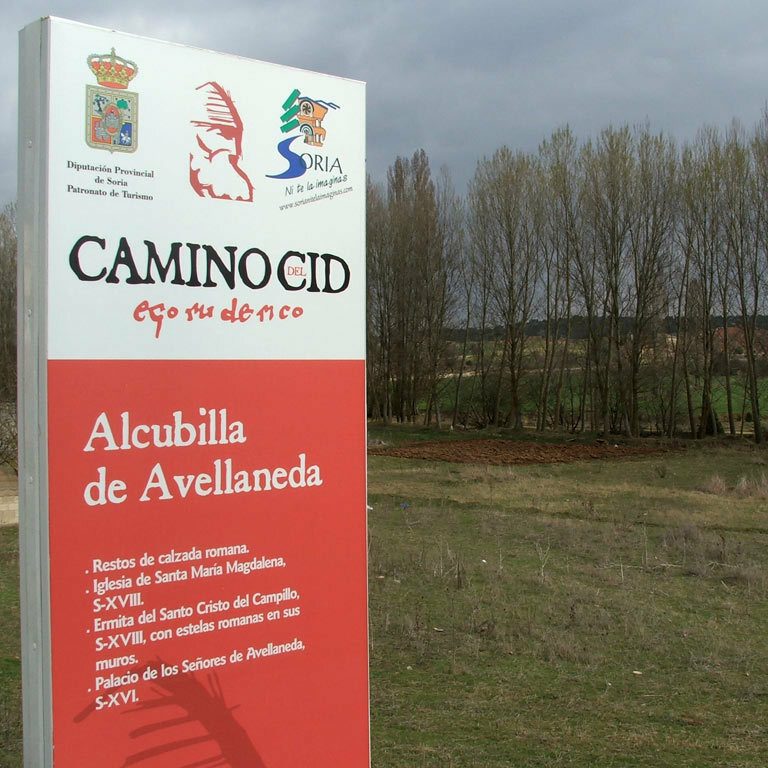 1 day: Ramal de Álvar Fáñez / The route of Álvar Fáñez (Guadalajara). 65 km. Difficulty: low. 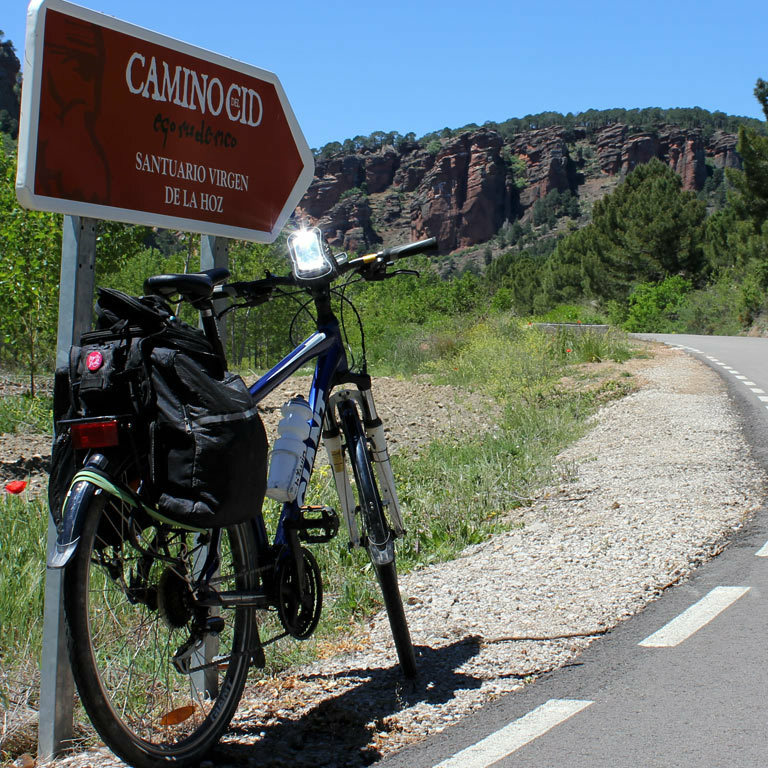 1 day: Gallocanta Circular route (Zaragoza, Teruel). 78 km. Difficulty: low-medium. 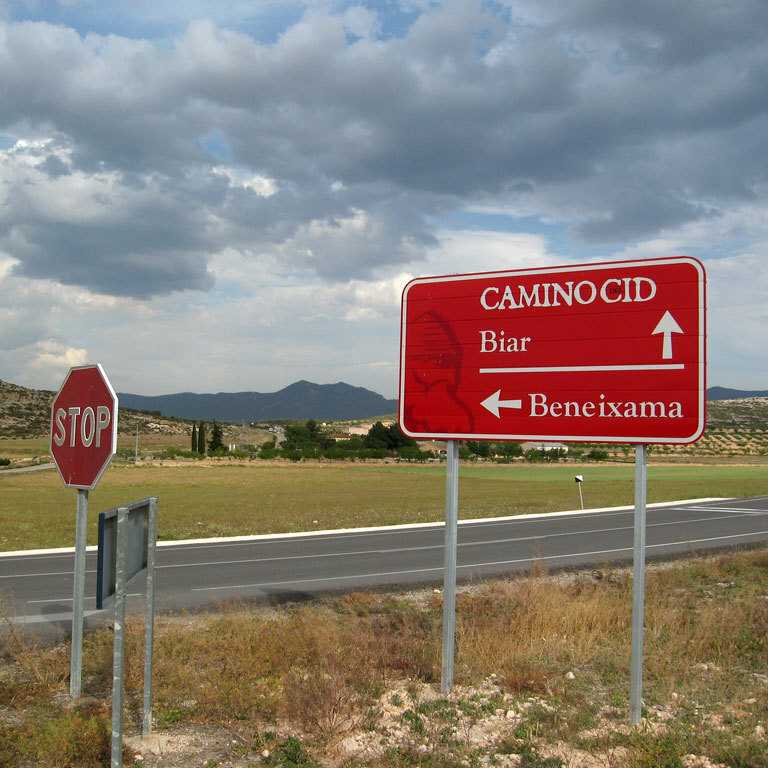 2 days: Anillo de Morella / Morella Circular route (Castellón, Teruel). 105 km. Difficulty: medium. 2 days: Anillo de Montalbán / Montalbán Circular Route (Teruel). 145 km. Difficulty: low-medium. 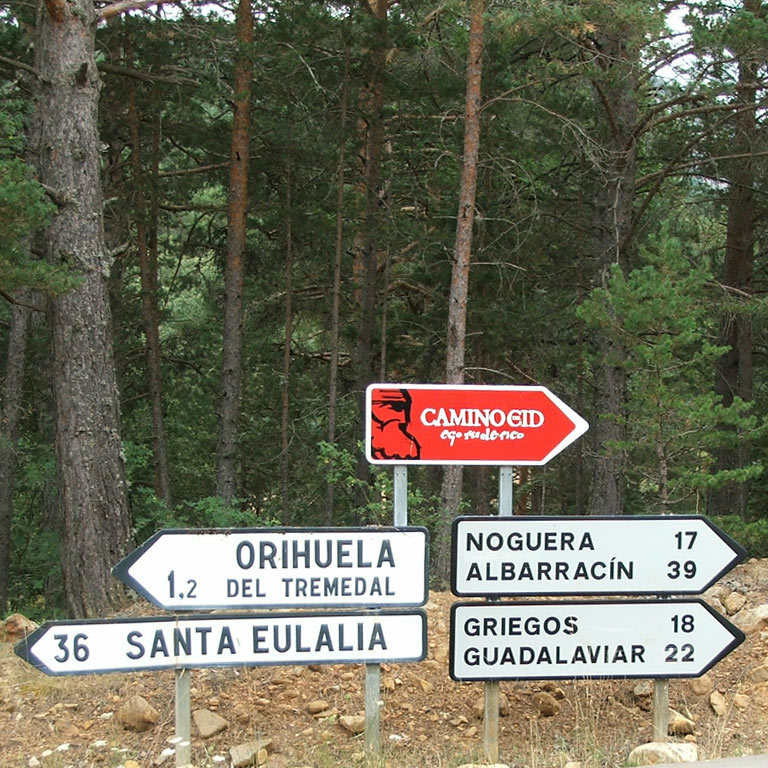 3 days: Anillo del Maestrazgo / Maestrazgo Circular route (Teruel, Castellón). 244 km. Difficulty: medium. 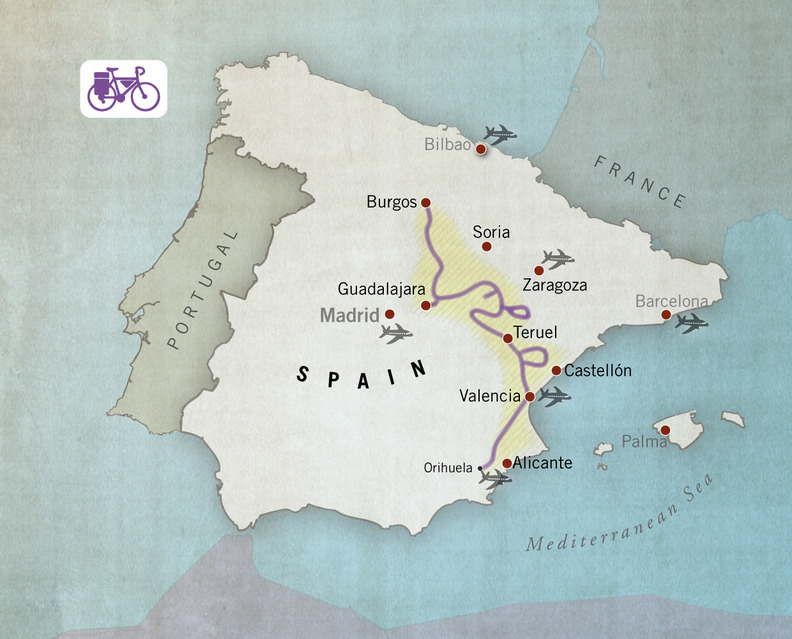 4 days: La Conquista de Valencia / The Conquest of Valencia (Teruel, Castellón, Valencia). 222 km. Difficulty: low-medium. 4 days. La defensa del Sur / Defending the South (Valencia, Alicante). 249 km. Difficulty: low-medium. 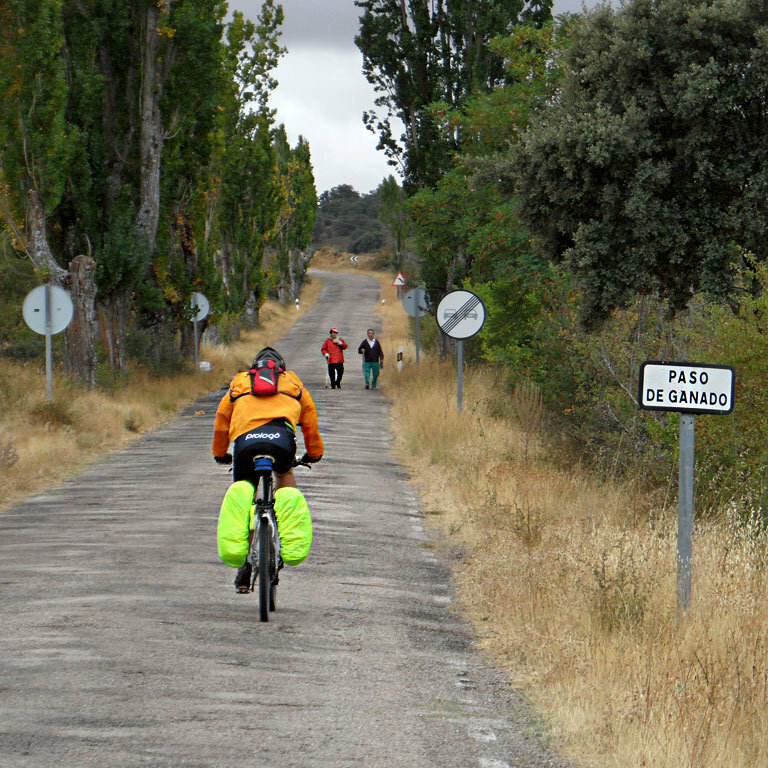 4 days: Tierras de Frontera / The Border Lands (Guadalajara, Soria, Zaragoza). 258 km. Difficulty: low. 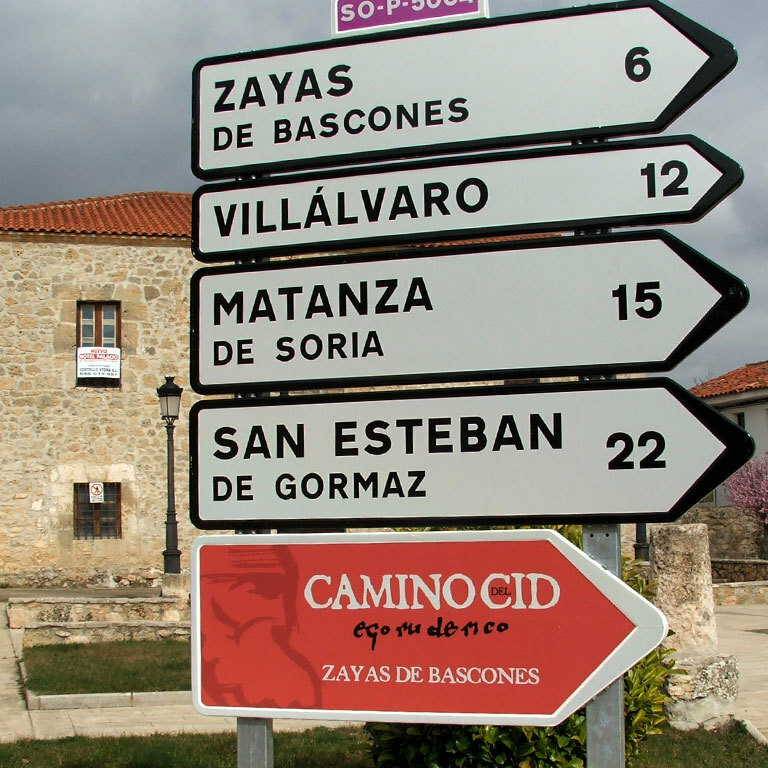 5 days: Las tres Taifas / The Three Petty Kingdoms (Zaragoza, Guadalajara, Teruel). 309 km. Difficulty: low-medium. 7 days: El Destierro / The Exile (Burgos, Soria, Guadalajara). 362 km. Difficulty: low.